Continuing translations of Key Concepts in Intercultural Dialogue, today I am posting KC#71: Safe Space, which Elenie Opffer published in English in 2015, and which Min He has now translated into Simplified Chinese. As always, all Key Concepts are available as free PDFs; just click on the thumbnail to download. Lists of Key Concepts organized chronologically by publication date and number, alphabetically by concept, and by languages into which they have been translated, are available, as is a page of acknowledgments with the names of all authors, translators, and reviewers. 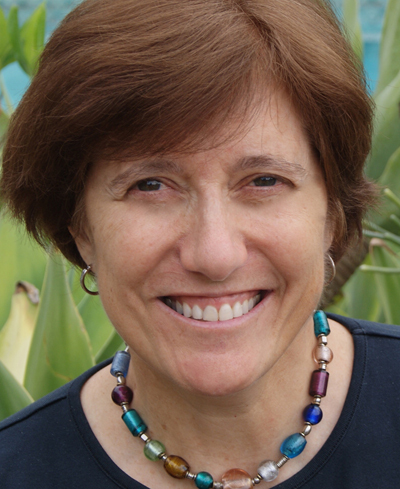 Elenie Opffer, Ph.D., Communications, University of Colorado, Boulder is a faculty member at the Western Institute of Social Research in Berkeley, CA. She is also affiliate faculty at California Institute of Integral Studies in San Francisco, CA and serves as a teaching fellow at the Intercultural Communication Institute’s summer intensive program. Her research focuses on studies investigating the intersection of cultural, gender, and/or sexual identities and the ways in which people construct, negotiate and transform their identities and communities. She is currently involved in applied research to aid peacebuilding and gender violence reduction efforts in high conflict areas of Nigeria. She serves as a senior advisor to the Center for Sustainable Development and Research in Africa, and the National Peace Summit Group of Nigeria. While she has conducted ethnographic and discourse analysis studies, her passion is for conducting action research where the results can be immediately applied to social transformation efforts. In this endeavor, she has created conflict transformation materials and LGBTQ Safe Zone Materials used in universities and communities. Opffer, E. (2010). The rhetoric of Rocky Mountain Women: Talking, trekking, and transforming a male preserve. In L.K. Fuller (Ed. ), Sexual sports rhetoric globally. New York: Peter Lang. Opffer, E. (2005). My mother is Greek and my father is plain: Growing up Greek in America. In W. Leeds-Hurwitz (Ed. ), From generation to generation: Maintaining cultural identity over time. Cresskill, N.J.: Hampton Press. Opffer, E. (1997). A Systemic Approach to school conflict resolution programs. Theory to Practice, 36(1), 46-52. Opffer, E. (1996). Constructively confronting intractable conflict: Lessons from the Amendment II controversy. Working Paper 96-4. Boulder: Conflict Resolution Consortium, University of Colorado. Opffer, E. (1994). Coming out in class: Notes from the college classroom. In R.J. Ringer (Ed. ), Queer words, queer images: Communication and the construction of homosexuality. New York: New York University Press.